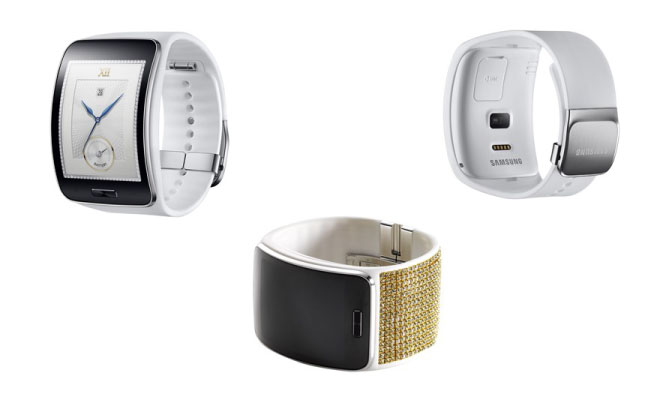 With Apple's 'iPhone 6' and 'iWatch' announcement looming, Samsung attempted to upstage its rival's showing by revealing its latest Note phablet, a new Gear smartwatch with a built-in 3G modem, and a virtual reality headset accessory —designed in collaboration with Oculus —at an event in Berlin on Wednesday. The Galaxy Note 4 comes with new 5.7-inch, 2,560-by-1,440-pixel Super AMOLED display as well as a new 16-megapixel camera system. The rear-facing shooter sports optical image stabilization, while a 3.7-megapixel front-facing camera allows users to take wide-angle selfies. On the software front, the Note 4 adds a new "Multi Window" feature that allows users to open applications in smaller windows, overlaid on top of other applications. One demonstration during the announcement had Google's Hangouts app taking up the lower-left corner of the display while a user interacted with Facebook's app, which was full-screened behind Google's. "The new Galaxy Note 4 introduces the most refined Note experience to-date by combining all the latest technology that users expect from the Galaxy series," Samsung mobile chief JK Shin said in a release. Samsung's new Gear S smartwatch, meanwhile, moves away from the Gear line's traditionally flat display to a new, curved AMOLED unit. The entire device "wraps" more smoothly around the wearer's wrist, which Samsung argues makes for a better way to read notifications on the go. The Gear S also sports a built-in 3G modem, meaning it can be used without being connected to a companion smartphone and users can make phone calls with the watch. The traditional Bluetooth tethering system remains available, however, and users can switch between connectivity options. "The Samsung Gear S redefines the idea of the smart wearable and the culture of mobile communication," Shin said of the smartwatch. "It will let consumers live a truly connected life anywhere, anytime." 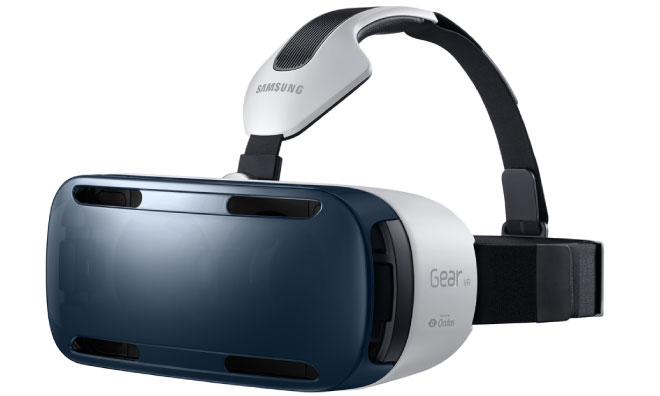 Finally, Samsung showed off the Gear VR, a Note 4-powered virtual reality headset. Users plug their Note 4 into the plastic hat, and special software turns it into a wireless virtual reality device that can be used for watching movies or gaming —one demonstration puts viewers "on stage" during a Cirque du Soleil performance. The Gear VR was designed in collaboration with Oculus, and famed graphics maestro John Carmack —now CTO at the VR firm —was on hand for Samsung's announcement. "We are thrilled to reveal the Gear VR Innovator Edition, a state-of-the-art mobile VR experience powered by Oculus," Carmack said. "The deep technical partnership with Samsung has enabled us to create a virtual reality headset with world class resolution and performance, all on a completely mobile platform." The Note 4 will be available in October, while the Gear S and Gear VR will be available "later this year." 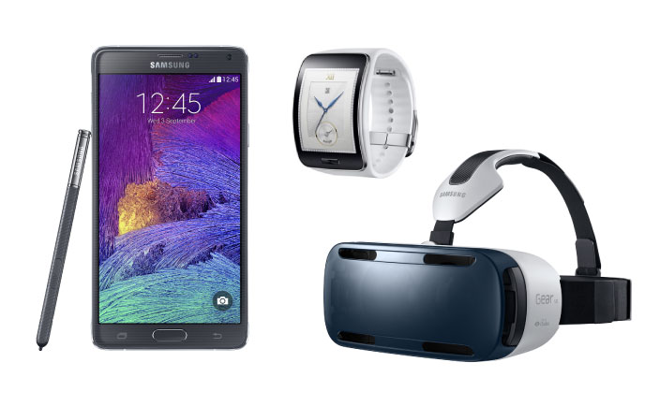 Pricing for the Note 4, Gear S, and Gear VR was not immediately announced. Among the slew of companion products introduced alongside the new devices was a stylus by Mont Blanc, custom rear covers for the Note 4 from Swarovski and new HTC-like LED front covers for the same handset.